This package includes 30 ships, boats and other watercraft. The 3D models (OBJ) are directly compatible with most game engines including Unity, Unreal and CryEngine. 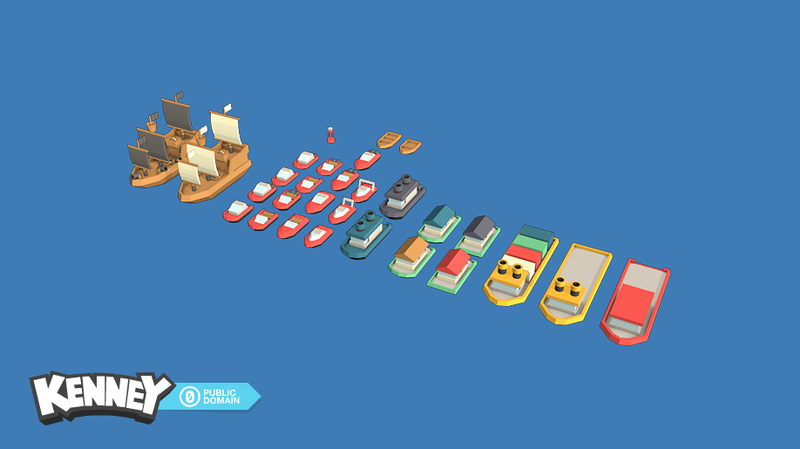 Which softwares do you use kenney, that you make really good art? I tried to message you, but you has blocked. Please answer me here. @Magic105 I do belive he is using Blender. Actually, I'm using SketchUp to do the modeling. Not a big fan of Blender, it's just really strange in controls and functions. @Kenney Where can i contact you in personally? And which software do you use for 2D graphics?